A Stunning modern design combined with ultimate rider comfort, make this a fantastic choice for the event rider, competing at any level. Large knee blocks and a thigh rolls for security. 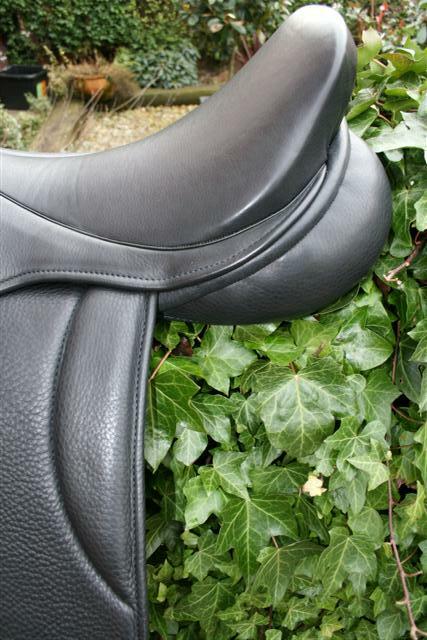 A semi-close contact, forward cut jumping saddle that can also be made with latex panels for an even closer feel. Custom made in the size and colour of your choice. Choose from colours are black, dark havana or two tone of BL/BR. 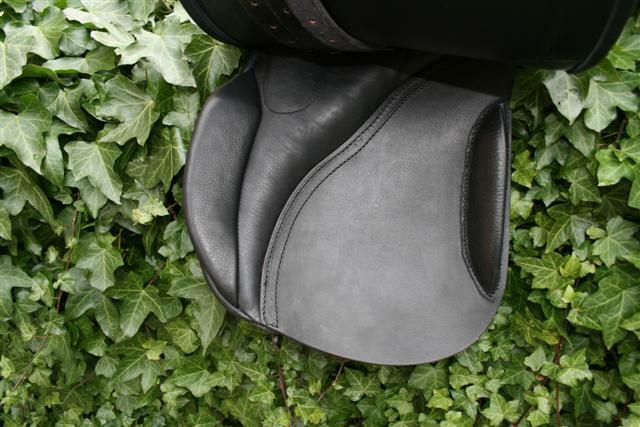 This saddle gives superior comfort and balance. 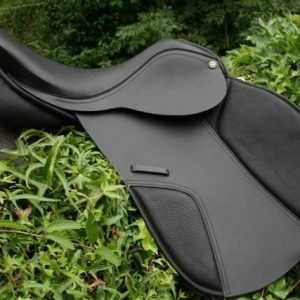 This beautiful top quality saddle has a wool stuffed panel and traditional 3 strap girthing arrangement, but other girthing arrangements may be requested. 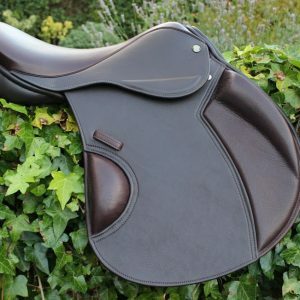 We offer point and balance straps (4 each side) and long dressage style Y girth straps too to remove the bulk of the girth from under the flaps. 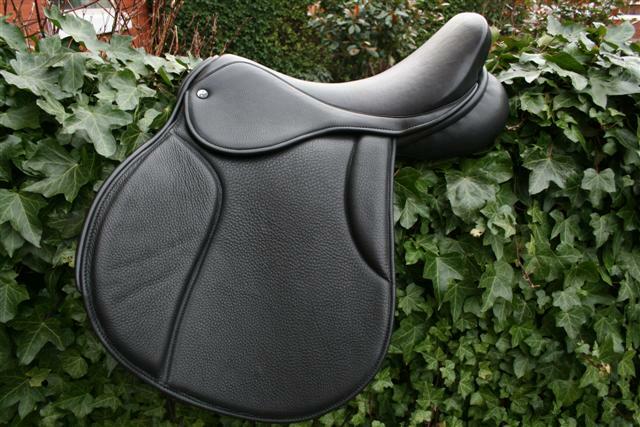 This saddle is covered all over with soft, comfortable English hide for extra comfort. Available with suede seat, thigh and knee pads. White, black or brown piping available. 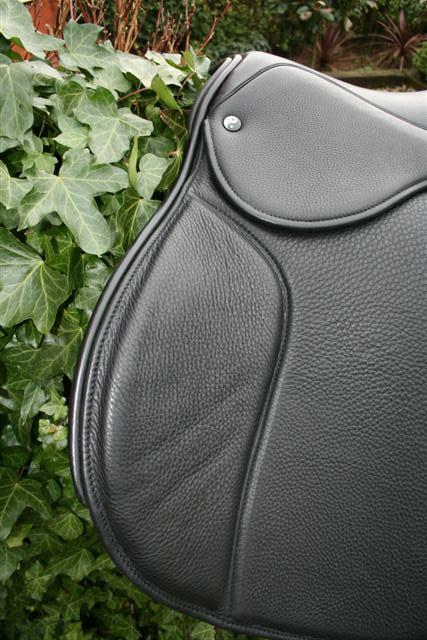 The saddle shown above is the traditional style, on request we can also make it with the all in one flap or “mono flap” for £100 more. 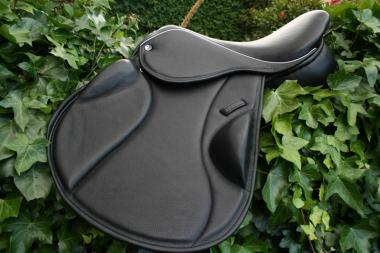 You can have this saddle with a shallower, even flatter tree if requested. 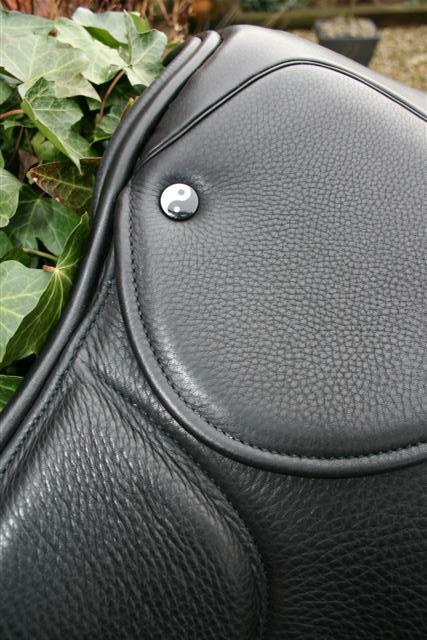 If you prefer a round cantle, please select that from the list of options above. A 100% English made saddle.
" Hi Matt, We have a problem with the saddle!.....The saddle is too nice for me! What are we going to do now :))) Thank you so much! The saddle is Awesome! and the leather quality is outstanding. Keep the measurements and I will order another one in dark Havana later on. Thanks again!